The Thailand Ambassador to Nigeria, Mr Wattana Kunwongse and the Chairman, National Drug Law Enforcement Agency (NDLEA), Col. Muhammad Abdallah (retd), have commended what they described as the ‘ingenuity’ of the Oyo State Government in the fight against illicit drugs. 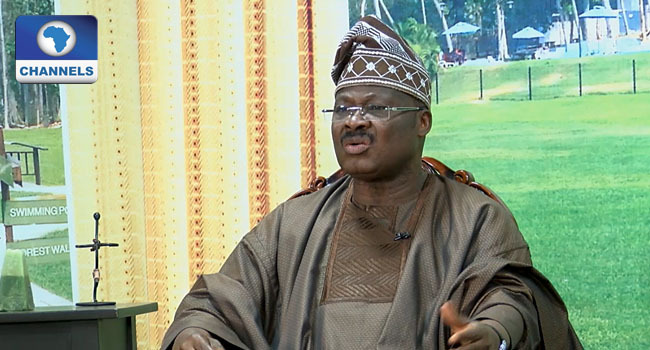 Both men gave the commendation when they visited Governor Abiola Ajimobi at his office in Ibadan, the state capital. Kunwongse said: “What Oyo state has done in response to the discovery of the land used in the cultivation of cannabis fell within the novel idea of UNODC, which is to help countries extend opportunities in broadening economic capacities and earn foreign currencies. The ingenuity is commendable. Also, the NDLEA boss said Oyo was the first state in the country to convert a land that was formerly being used for planting marijuana to plant legally acceptable agricultural products. He told his host that the AD approach being introduced in the state had received the blessing of UNODC’s Executive Director in Vienna, Austria, Mr Yury Fedetov. Abdallah said, “The last time I was in Vienna, Mr Yury Fedetov was briefed about the situation in Oyo State and he expressly gave his nod to the possibility of cooperation between Thailand and Oyo State on AD plan. Responding, the governor disclosed that the state had already created a committee for the AD project, which he said would cover agriculture, health, culture, and tradition, which he said would take off in the next three months. Ajimobi stated, “Your visit to Oyo State will go a long way in developing a bilateral relationship which will lead to more economic benefits for the state.